"His work is refreshing, painterly, refined - classically organized and yet contemporary in its straight forwardness. In addition to his competence with the landscape, architecture and the subtleties of natural light, I took particular note at that time of the ease and expressiveness in his portrayal of people for which he used gesture and setting to capture a moment and infuse it with a sense of suspension in time. "쳌 Andrea York, owner and director of Cataumet Art Center. Fred Luconi has had successful solo gallery shows and been juried into National competitions at the Cahoon Museum in MA and the Von Liebig Museum in FL and has won several awards in juried competition. 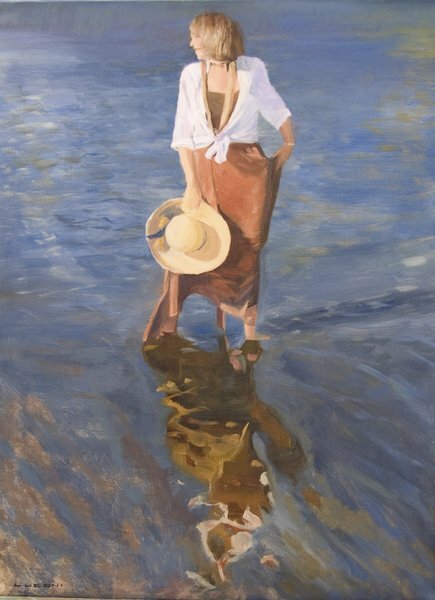 He is a member of several art associations as well as being an juried artist member of the Cape Cod Art Association and the Von Liebig Art Center of Naples, FL. His work is currently enjoyed in many private and corporate collections in the USA and Europe.